S/S Thursday April 6th. Open House April 9th 2-4pm. Offers Accepted April 11th evening. Welcome to 51 Sparrow Road, a charming Charleswood home! With just under 1450sf of living space combined on both levels this stylish 3 bedroom, 2 bathroom home is full of features that are sure to impress! Large windows throughout main and lower level allow loads of natural light to flow into this great space. Gorgeous laminate floors were installed on the main floor, and the entire home has had a fresh coat of paint in recent weeks to prepare to meet it’s new owners! On the main floor the master bedroom is massive and features a new window, and your own private entrance to a raised 10’ x 12’ deck. The bathroom on this level has also been recently refreshed! Downstairs find a spacious third bedroom, the family room, a second full bathroom and loads of storage. 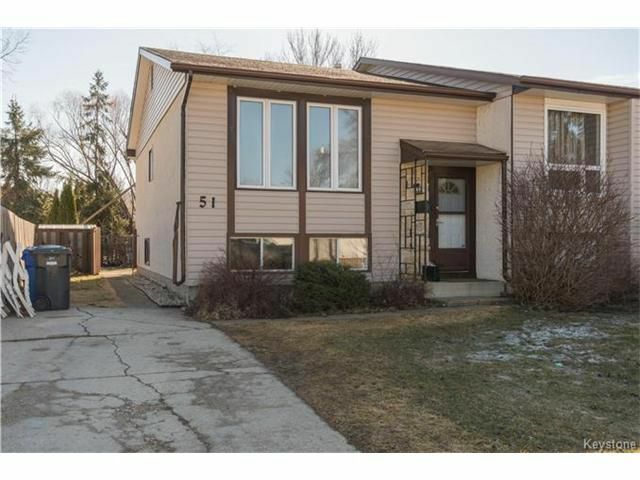 This home is located close to all amenities including schools, groceries, gas stations, parks, restaurants, and transit. Call to book your showing today.